For an overview of how GLP-2 exerts its normal physiological effects, see the section on GLP-2 action. To understand the molecular basis of GLP-2 action, review the data on the GLP-2 receptor. 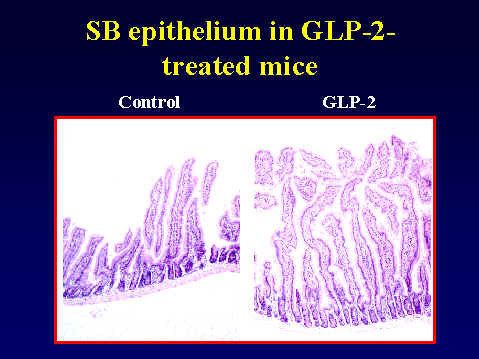 For an overview of GLP-2 synthesis and secretion, see GLP-2 secretion and metabolism. To review the importance of GLP-2 structure-function relationships, see GLP-2 structure and activity and DPP-4 and GLP-2.